The Nineteenth is spacious, modern, inviting and exclusively yours for the duration of your stay. Featuring two large bedrooms, two bathrooms and an expansive open plan living and kitchen area, The Nineteenth has been fitted out with all the necessary luxury items to make it your home away from home. 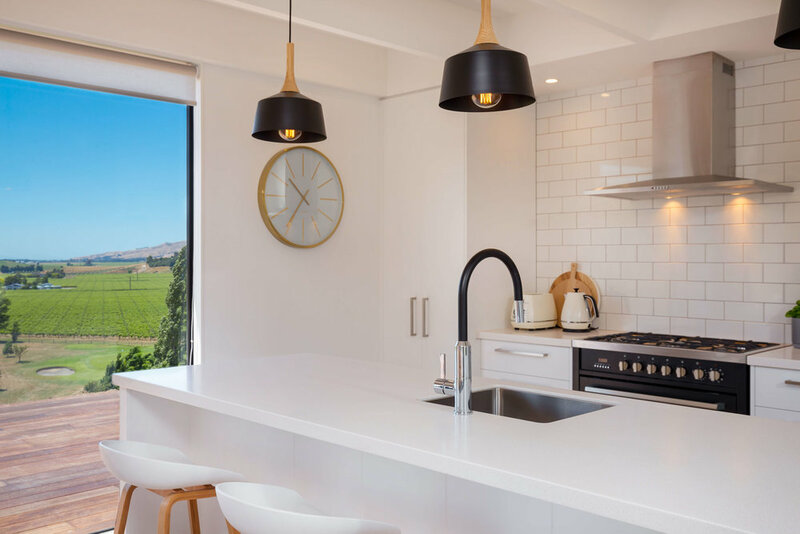 All rooms open out onto an expansive deck and have north-east facing views overlooking the surrounding vineyards, farmland and Marlborough Golf Course. A sheltered courtyard with BBQ and outdoor seating is located adjacent to the kitchen and living area. The bedrooms are located at either end of the living area and each contain a generous king sized bed. A rollaway bed and portacot is available on request (please add request in the comments section at the time of booking). The maximum occupancy for The Nineteenth is five people. The house is serviced every seven days, between stays, or by arrangement. The Nineteenth is also available to book as a venue for a business meeting, workshop, corporate retreat or off-site dinner location. To help make your business event a memorable one, a list of recommended caterers that can either cook on-site or supply food in advance can be provided. Contact us directly to find out our rates for a business event. We look forward to having you stay at The Nineteenth, our self-catering luxury accommodation in Marlborough. "The Nineteenth is one of the best places we've ever stayed in while on vacation. First, you can't beat the location and the views. 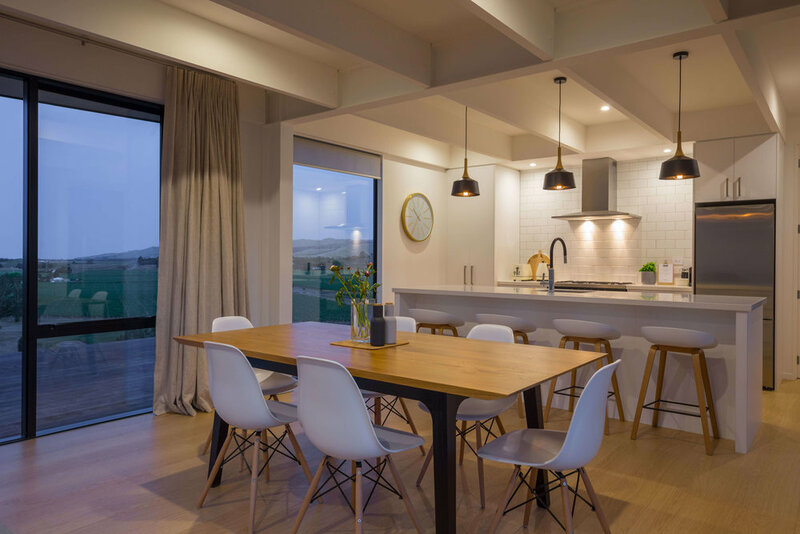 "The perfect two-couple Marlborough getaway house. Quite possibly the favorite we've ever stayed in." "Great place to stay, spotlessly clean, lovely linen, everything you could possibly want all there for you. Amazing views, and oh so comfortable bed. thanks, we'll definitely be back!" "Look no further, the Nineteenth is THE place to stay to enjoy Marlborough. Lovely accommodation with incredible privacy and amazing views. "Amazing location. Beautiful view, peaceful yet convenient. An absolute delight and I would highly recommend it." "From the moment we stepped into The Nineteenth, we just knew this was a holiday destination like no-other. The accommodation has the most speculator views that you will never see again. Luxury self-catering vineyard accommodation in Marlborough. Perfect for couples, families, friends or executives, with all the necessities provided to make your stay in Marlborough an enjoyable one.